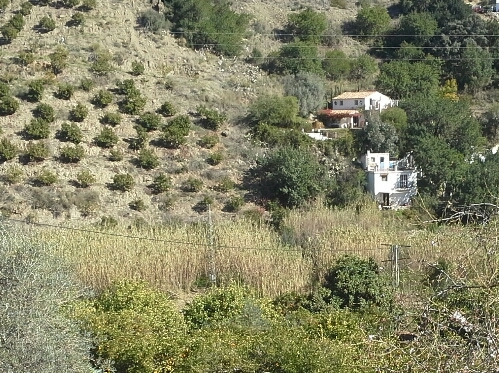 Nestled on the Southern slopes of the Benamargosa river valley, just above the river bed, this totally unique little cluster of buildings set on 3,000m2 of land offers huge potential for anyone wishing to relocate to Southern Spain and start a small rural tourism business, or to have plenty of separate accommodation for relatives and friends. 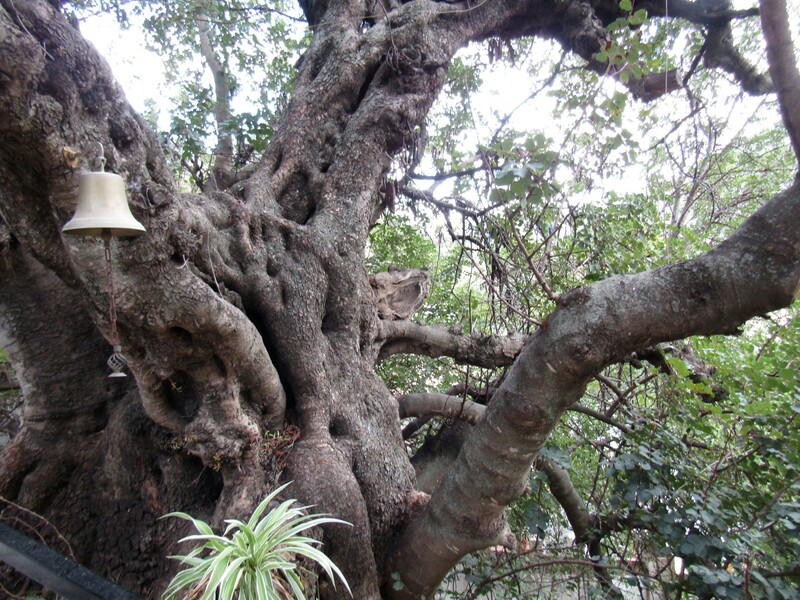 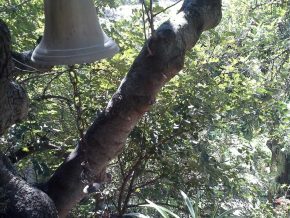 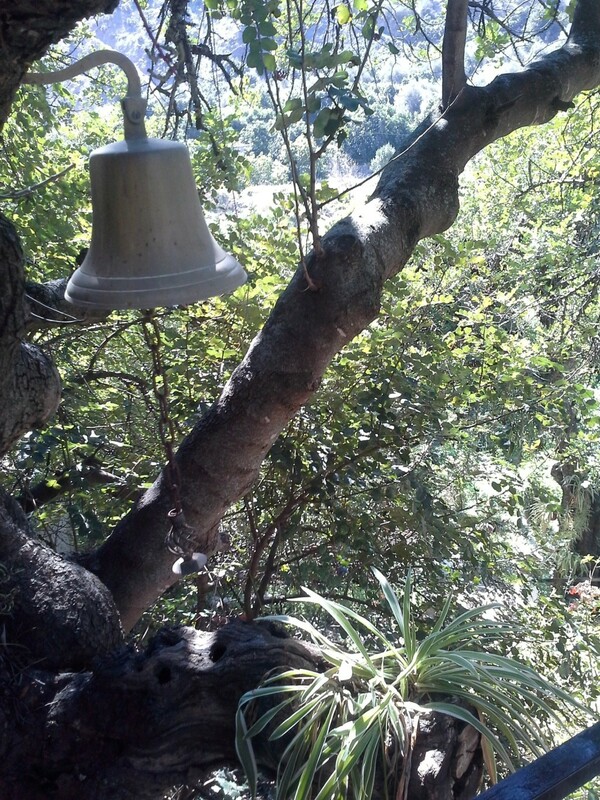 The property is called Los Algarrobos (The Carob Trees) due to the number of extraordinarily ancient and leafy carob trees located here, offering plenty of natural shade. 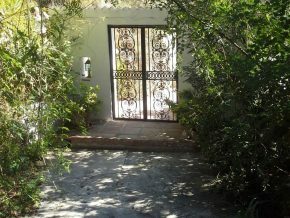 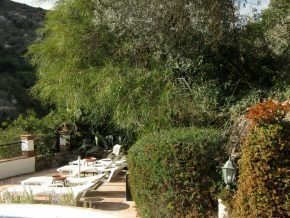 From the concrete car park/drive, access to the property is via a walled, gated entrance, and a path leading up to the main pool terrace. 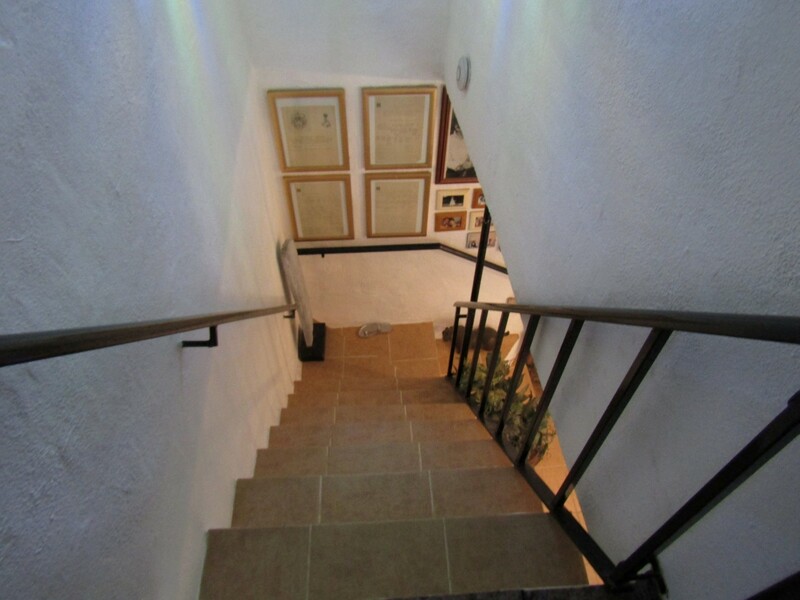 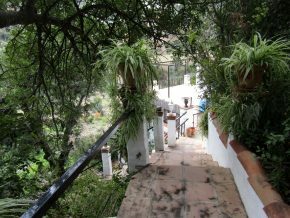 To the left, steps lead downhill, towards the riverbed, first reaching a large lookout terrace which is the roof of the Lower House (34.5m2). From here is a beautiful view over the countryside and river valley, and a sense of total peace and a 100% escape from that busy world, somewhere out there! 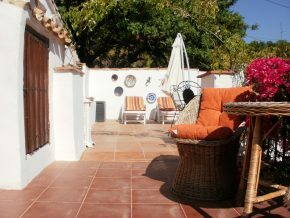 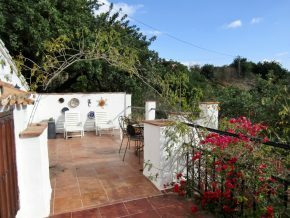 There is a laundry room accessible from this terrace (6.5m2). 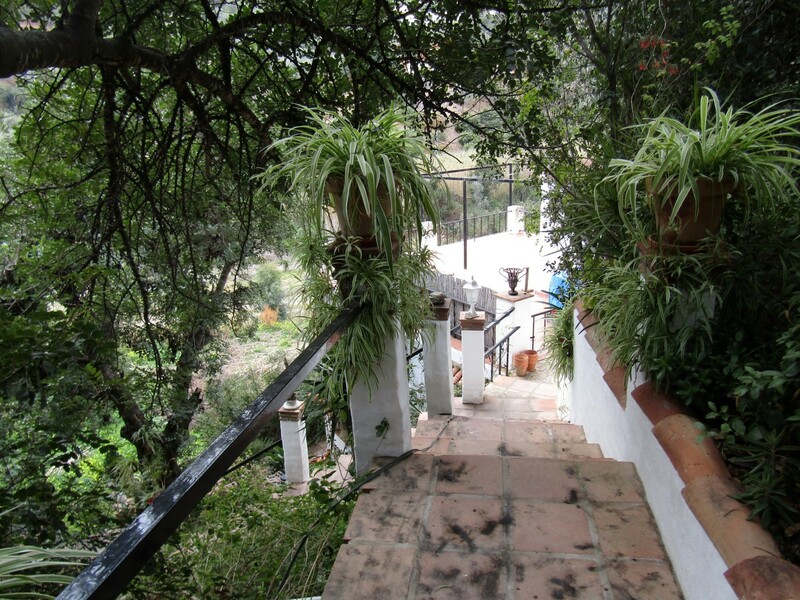 Steps continue down to the lower house, with a large open terrace/garden area to the front. 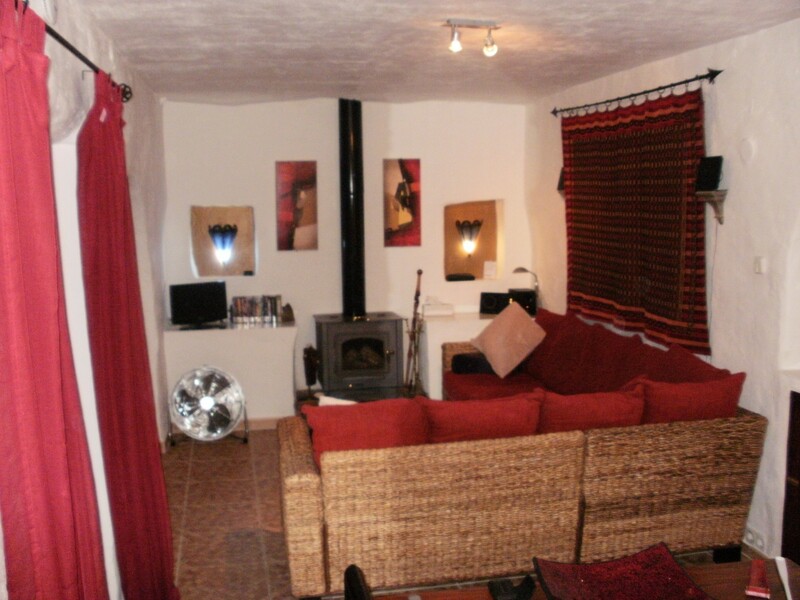 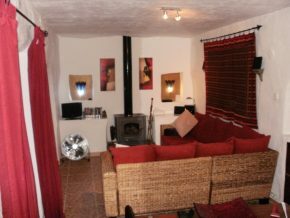 The front door leads into the open plan living space, divided into living room with corner woodburner, and kitchen/diner with fully fitted kitchen. 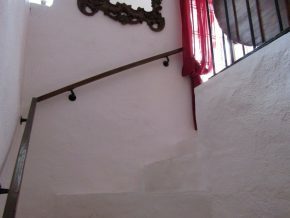 In the right hand rear corner, stairs lead up to the upper floor (there is a useful store cupboard on ground floor level under the stairs). Upstairs there are three bedrooms, approximately 4.1 x 3.3m2, 3.3 x 3m2 and 3 x 2.1m2, and one of the bedrooms has patio doors to a look-out terrace. 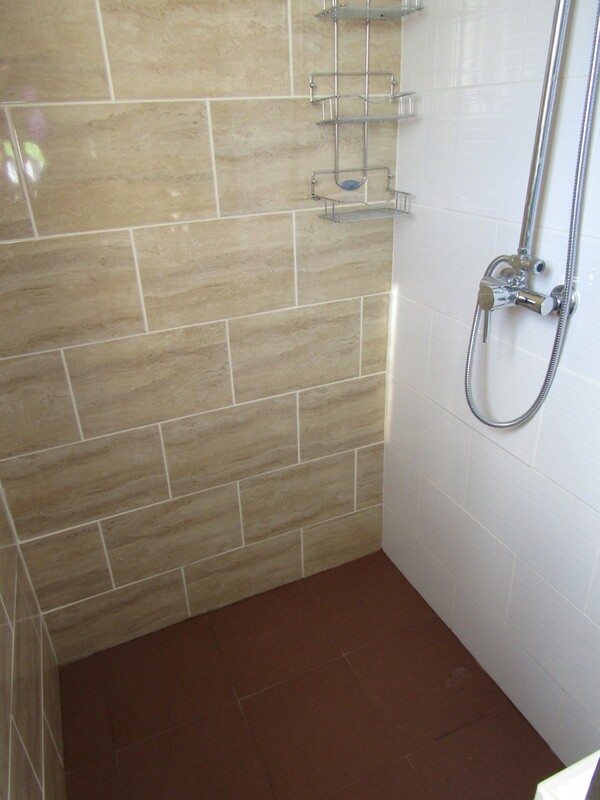 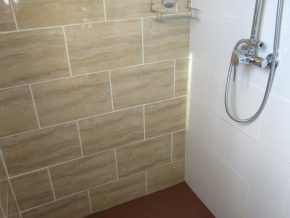 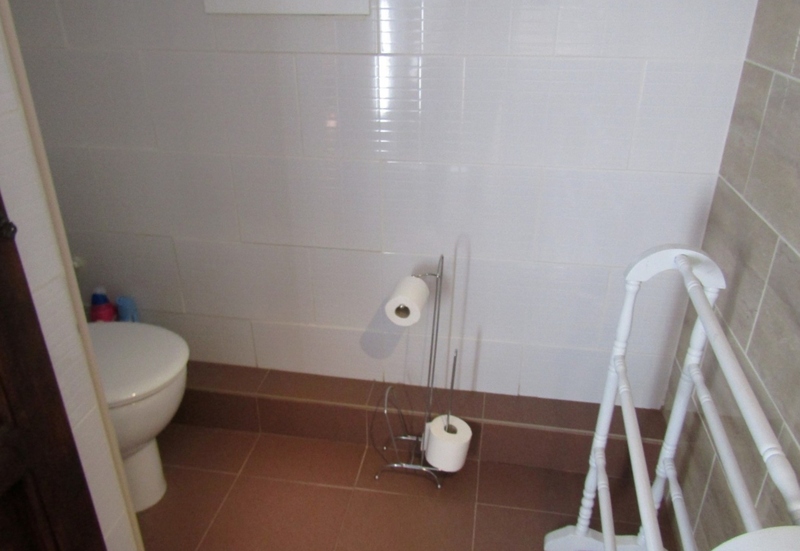 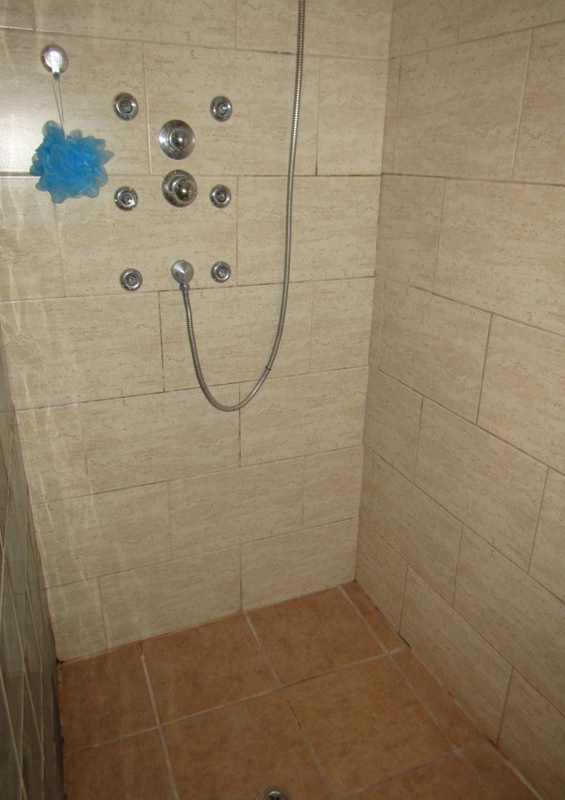 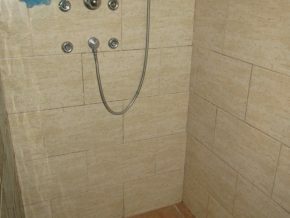 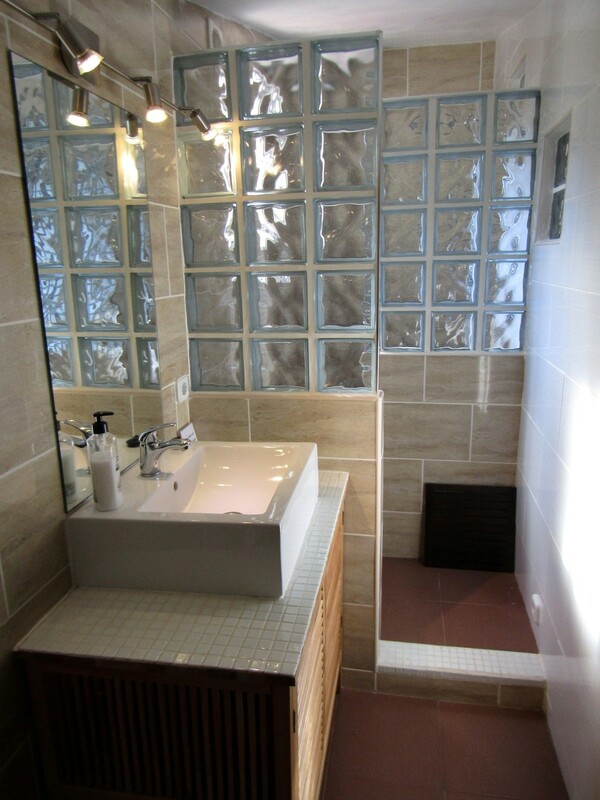 On this floor there is also a bathroom of 2 x 2.1m2 with a walk-in shower. 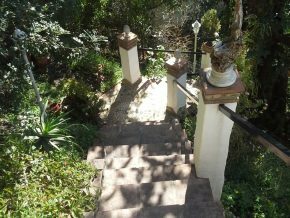 Returning to the entrance of the house, a pretty path leads to the pool terrace with sunbathing area overlooking the views, and an 18m2 pool with walk-in ‘Roman’ steps. 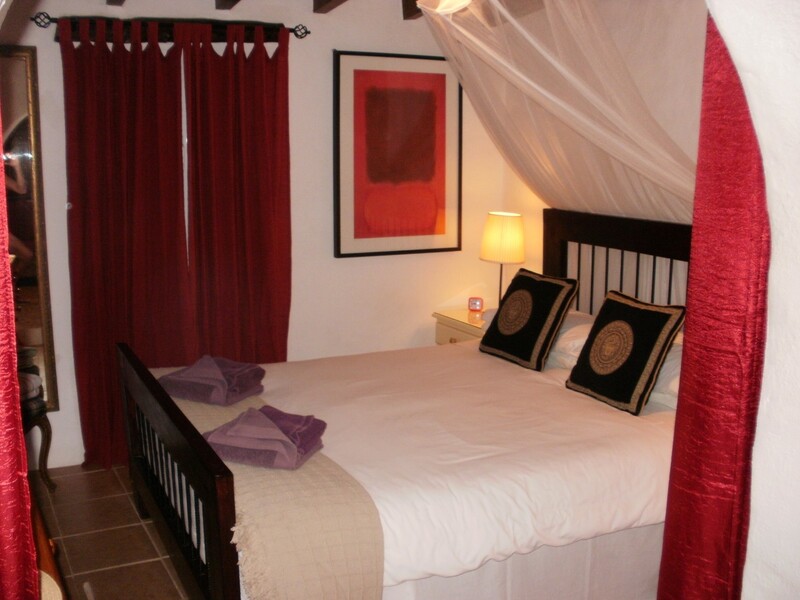 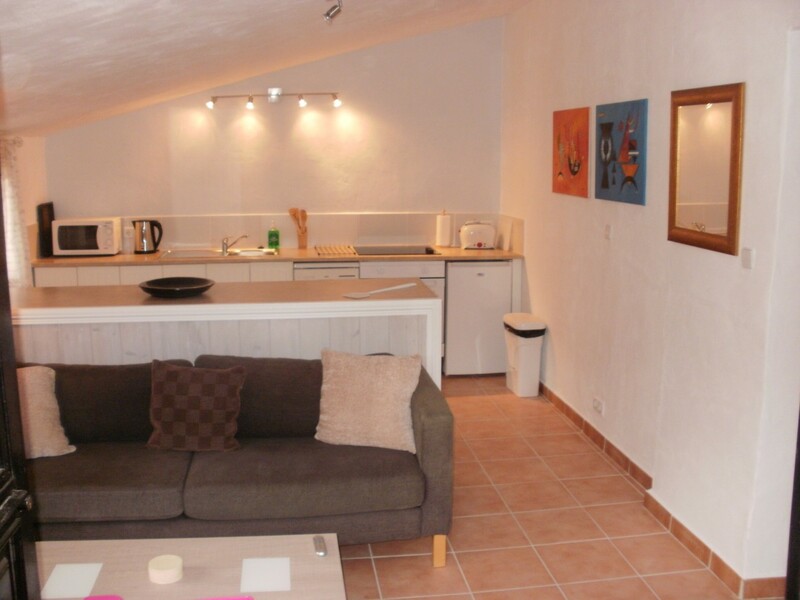 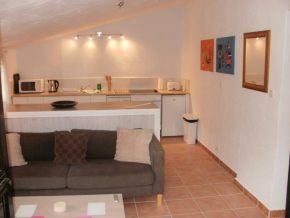 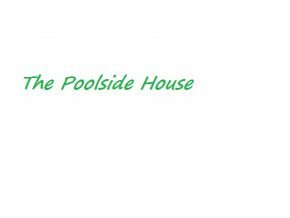 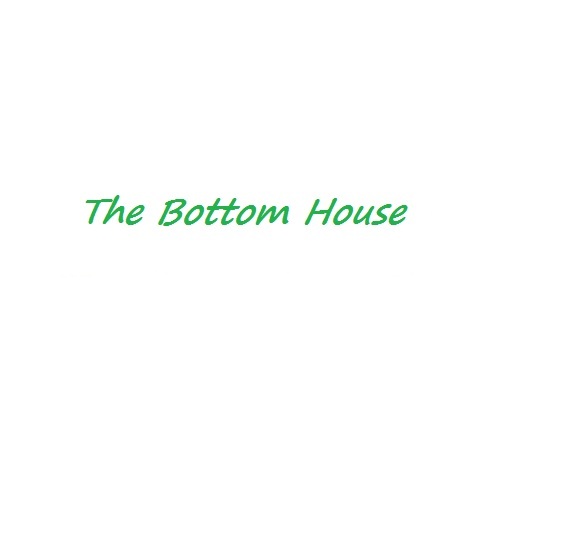 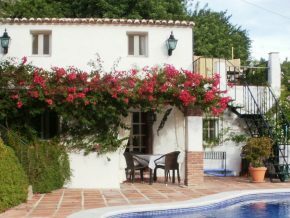 Beyond, is the Poolside House, with an attractive covered eating terrace to the front. 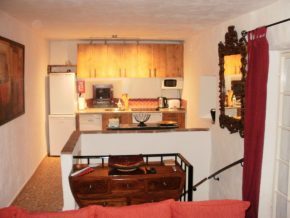 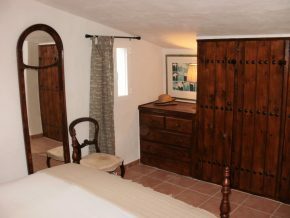 The door leads into the rustic style living area with beamed ceiling, with the fully fitted kitchen to the right, and the living room with a wood burner and a wide, curtained archway to the left leading into the double bedroom with beamed, sloping ceiling, a double wardrobe and air conditioning. 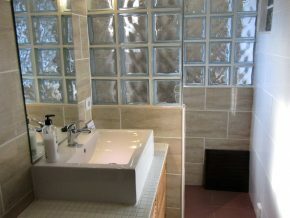 Between the kitchen and living room areas are stairs leading down to the modern and very unusual bathroom with a large walk-in shower. 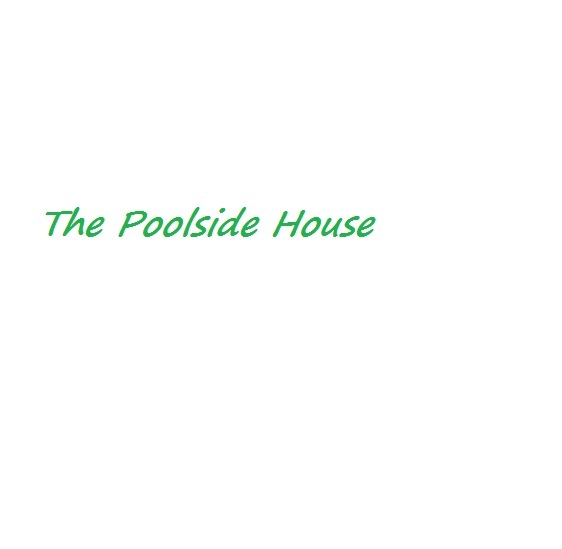 Adjoining the Poolside House, on the same level, but with an access door from the opposite side, nearer the walled entrance gate, is an additional area which could be a separate unit, or an access doorway could be made between the Poolside House living room to add more accommodation to the Poolside House. 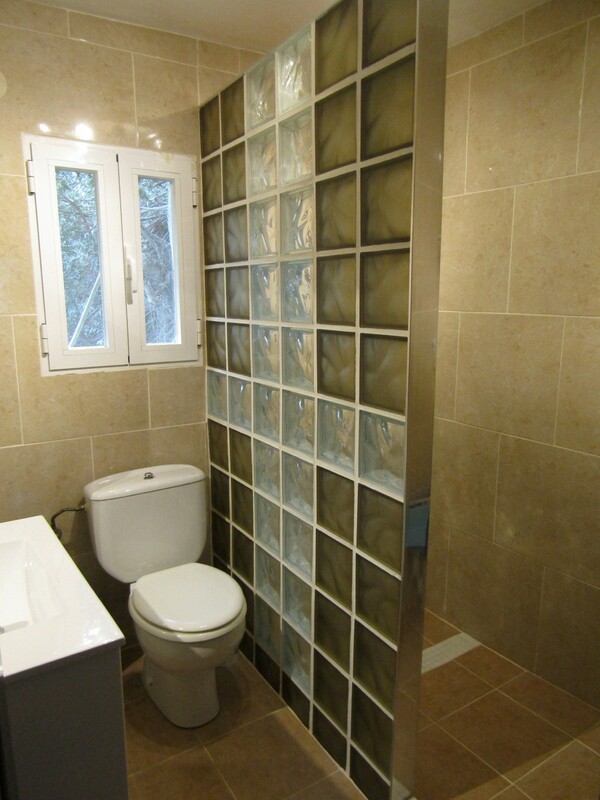 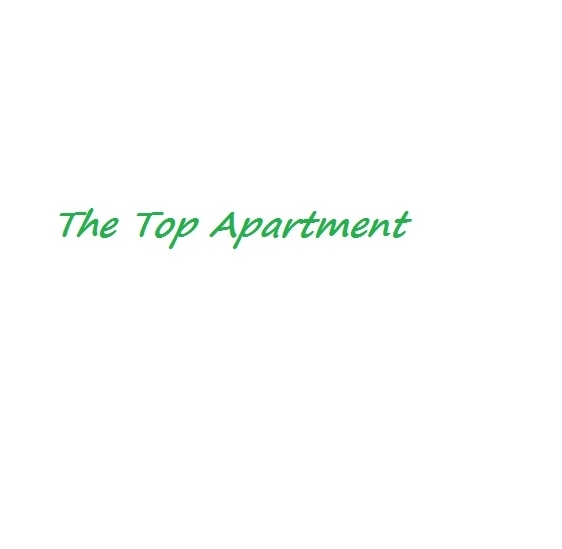 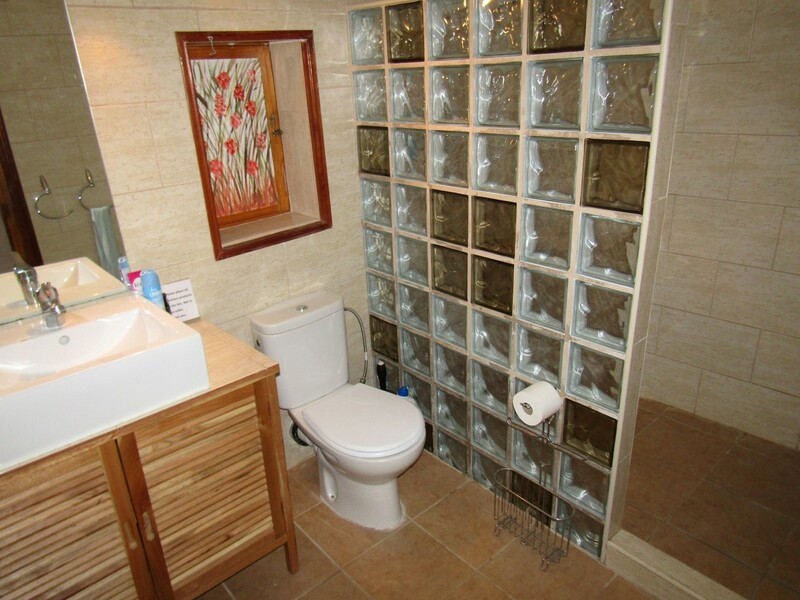 The door could be lockable, offering extra flexibility, depending on guest requirements. 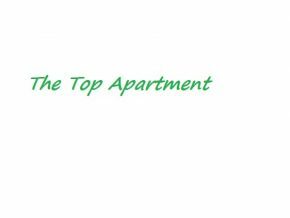 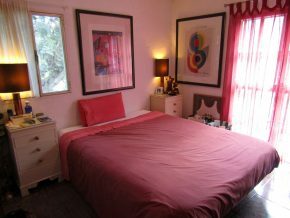 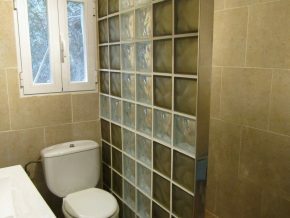 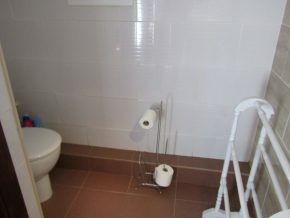 The unrenovated section needs no structural work and consists of three large rooms (approximately 5 x 3m, 2.3 x 5m and 3.5 x 3m) and could easily be converted into a 1 to 2 bedroom unit. 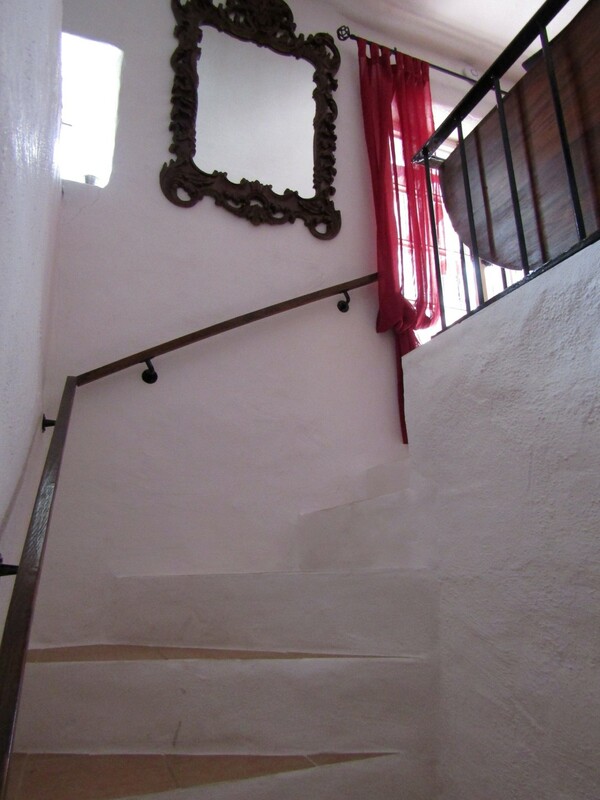 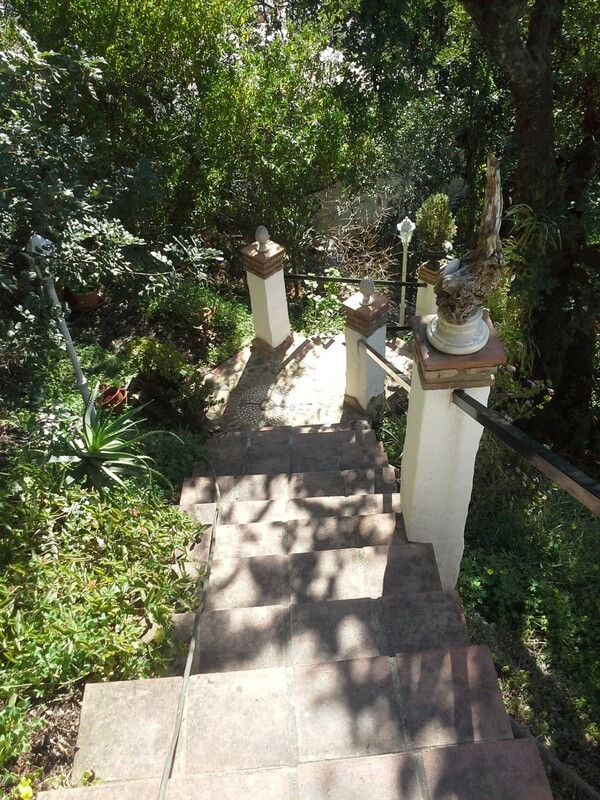 Steps lead from the poolside area to a terrace (12m2) which is located on top of the Poolside House and also over part of the unrenovated house. 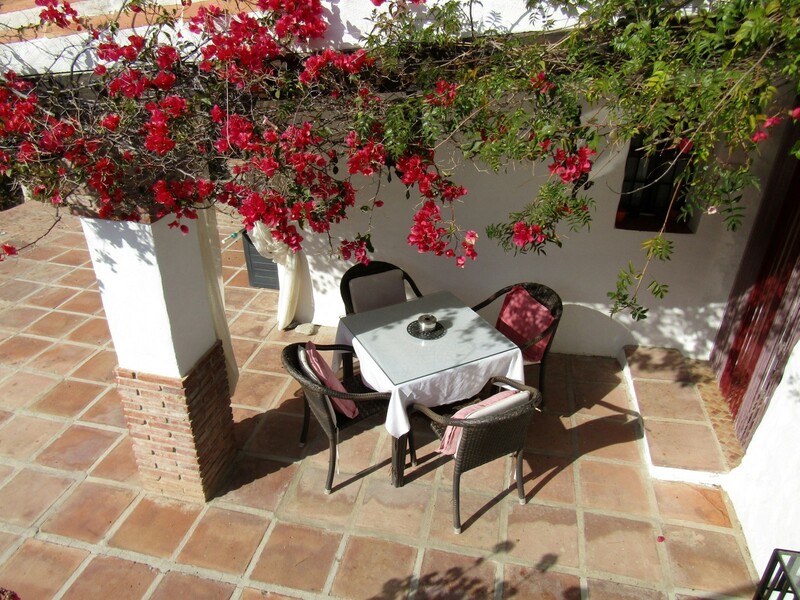 This lovely terrace has a built-in seating area and an arbour. 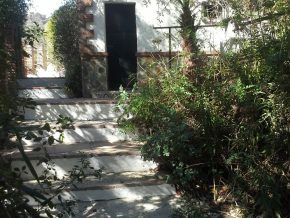 From here, the door lead into a modern-style living room with kitchen to the rear (21m2). 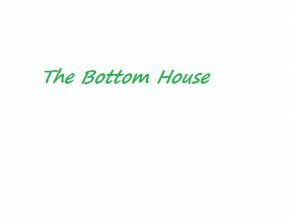 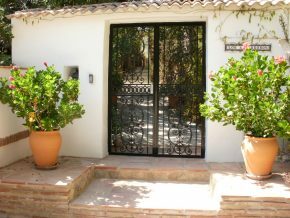 A door to the rear leads to the bedroom (14m2) with sloping ceiling and air conditioning, and a wardrobe area, with a comfortable, modern en-suite bathroom with walk-in shower (5m2). 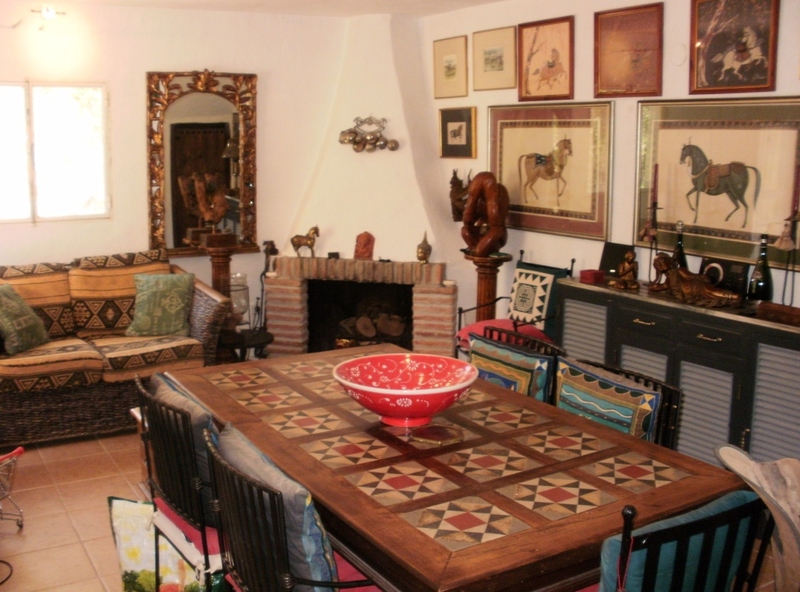 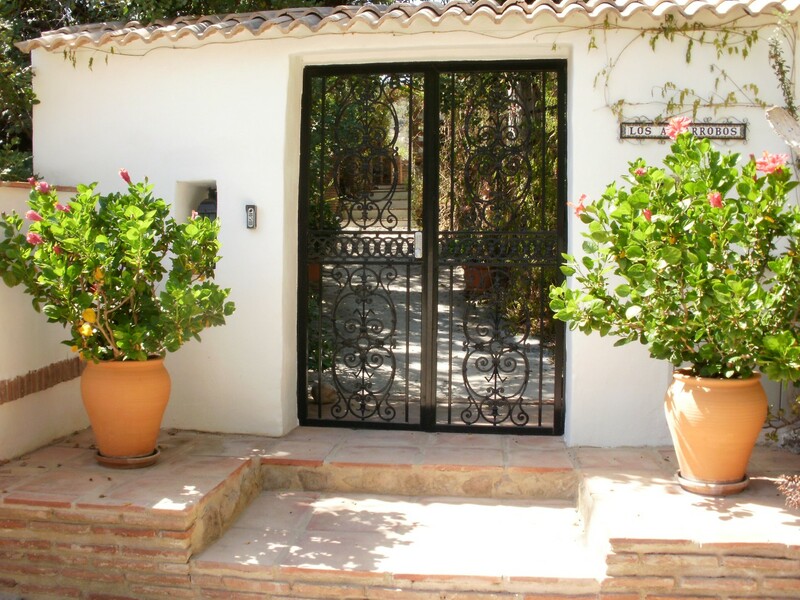 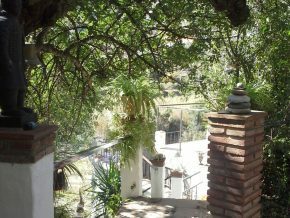 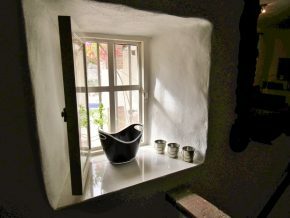 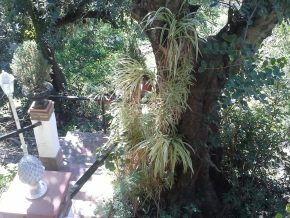 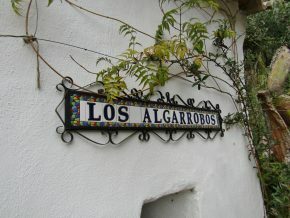 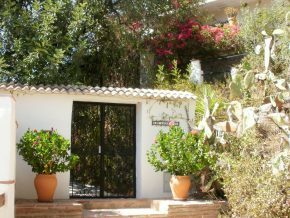 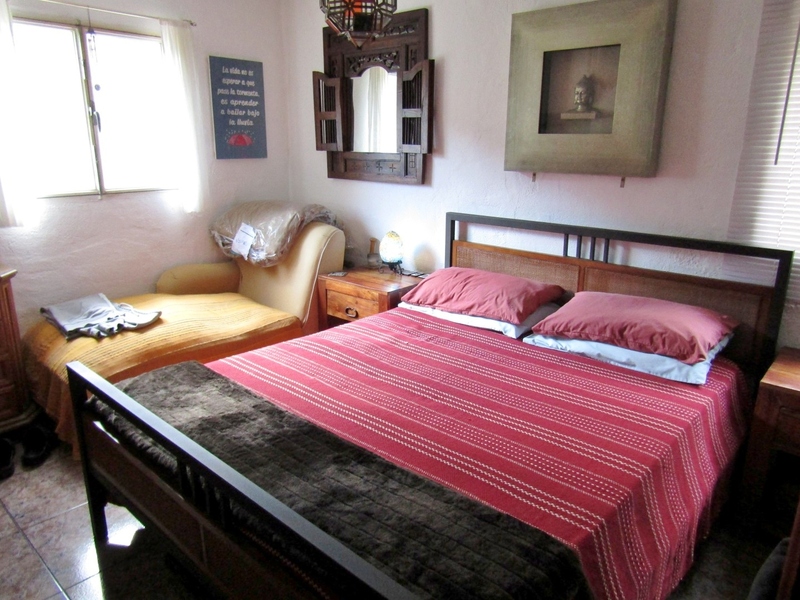 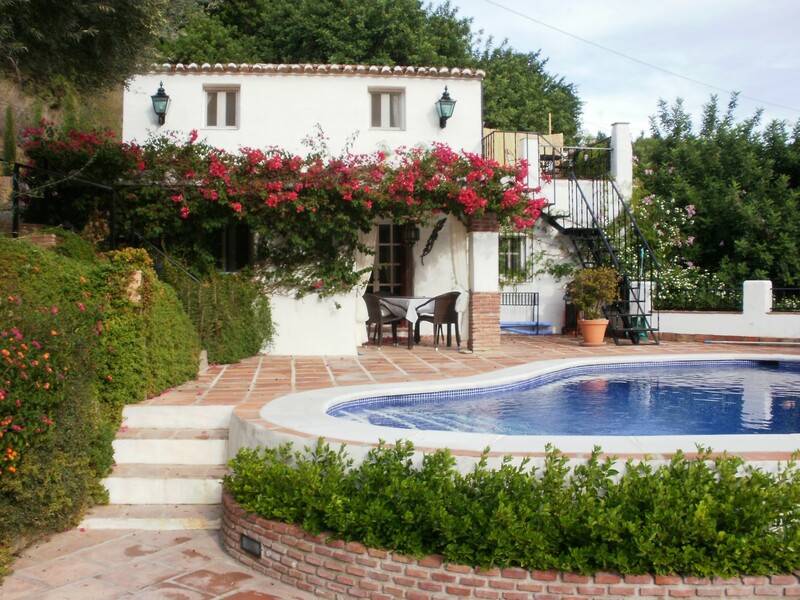 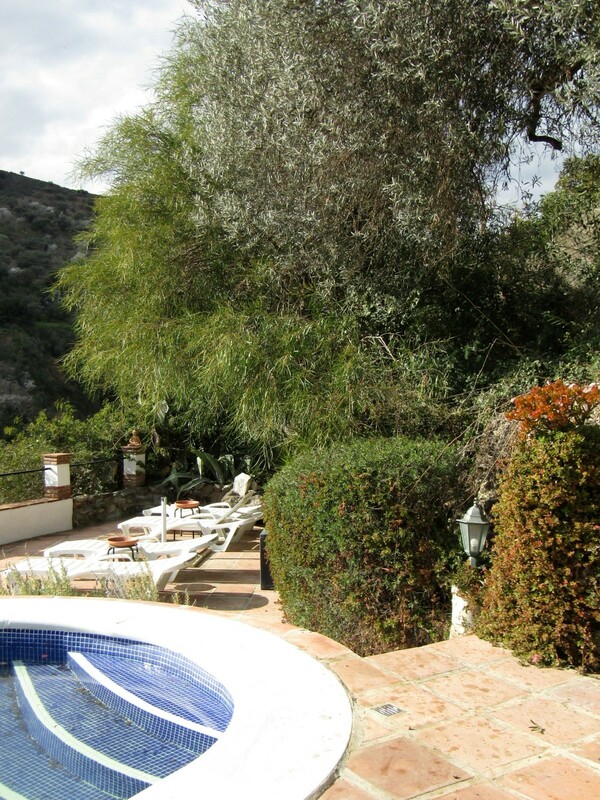 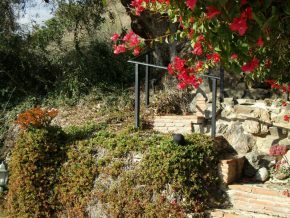 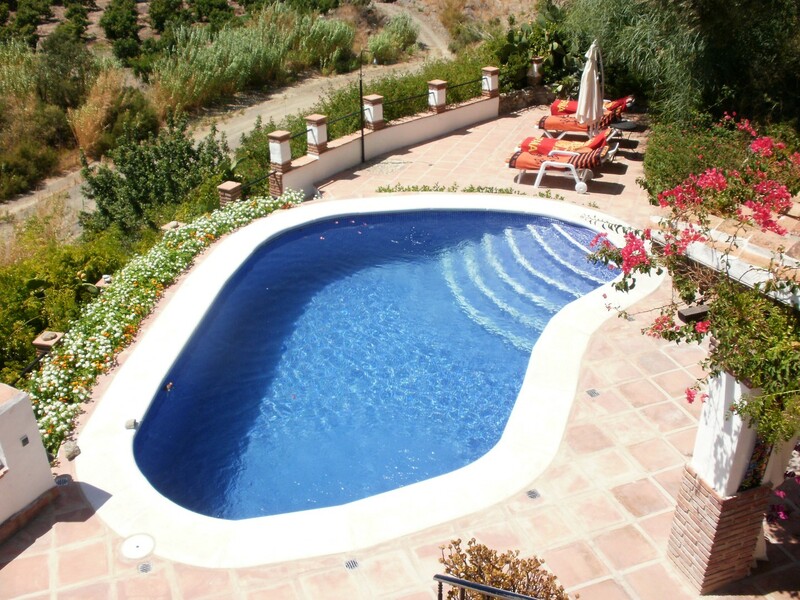 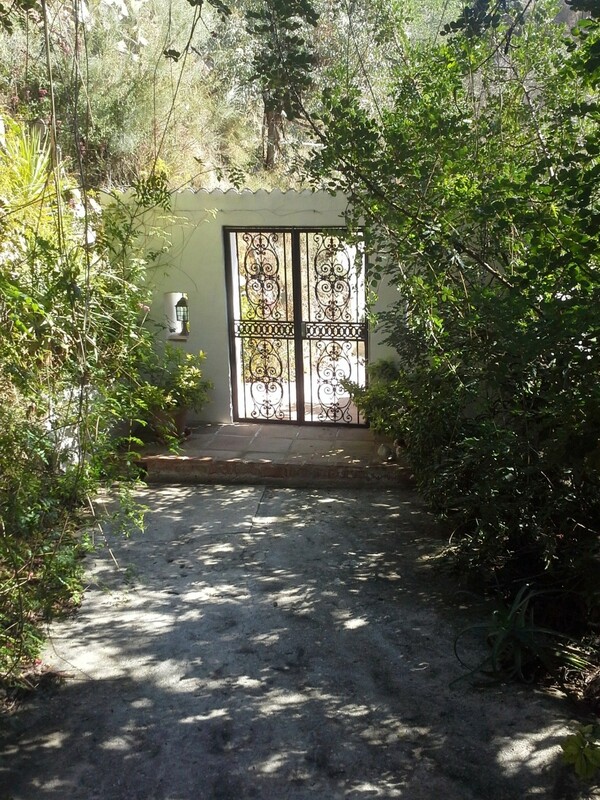 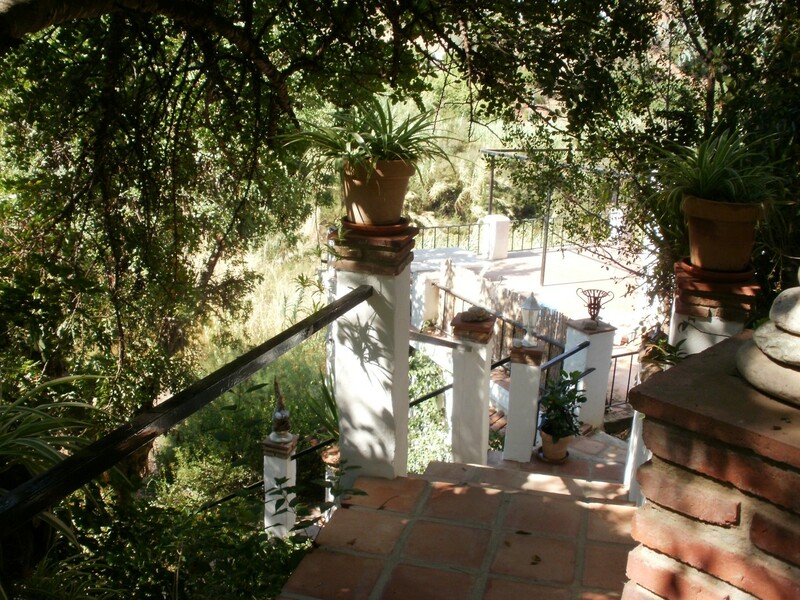 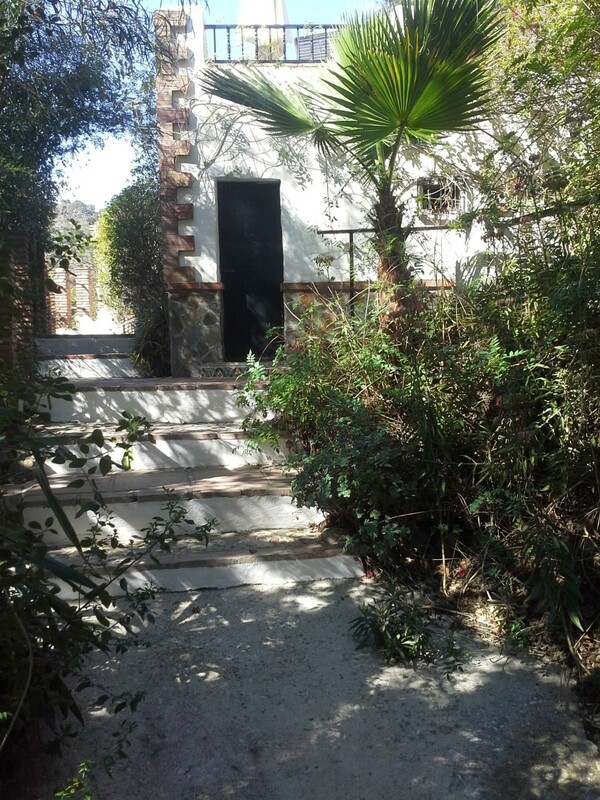 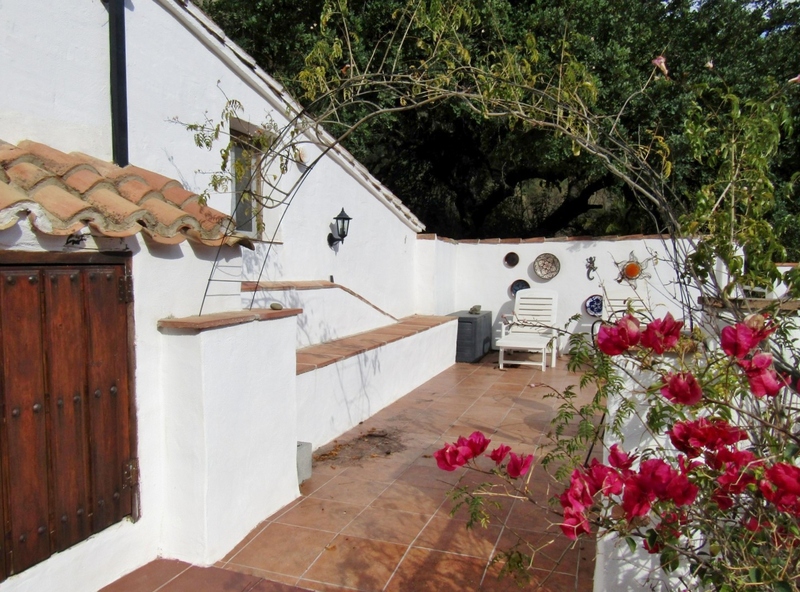 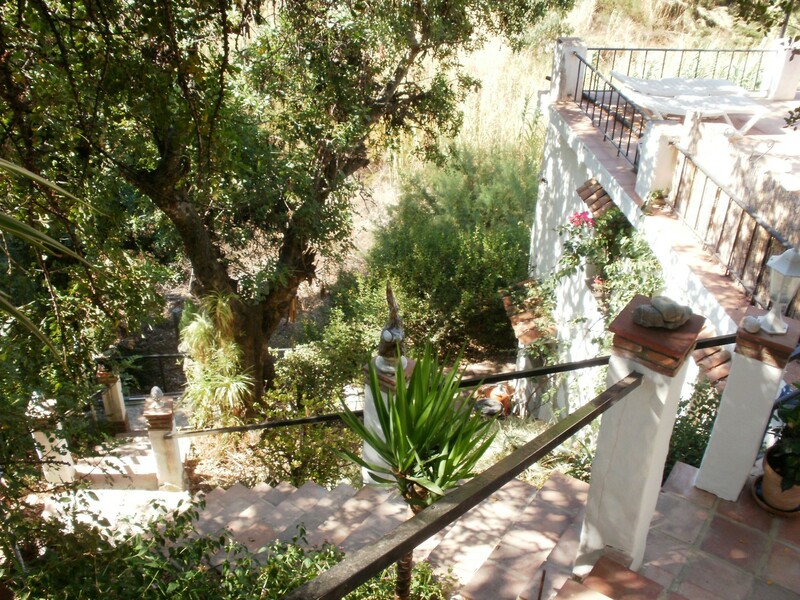 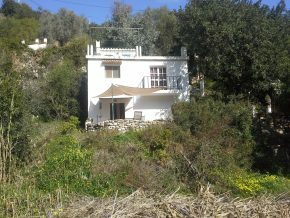 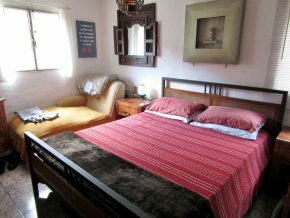 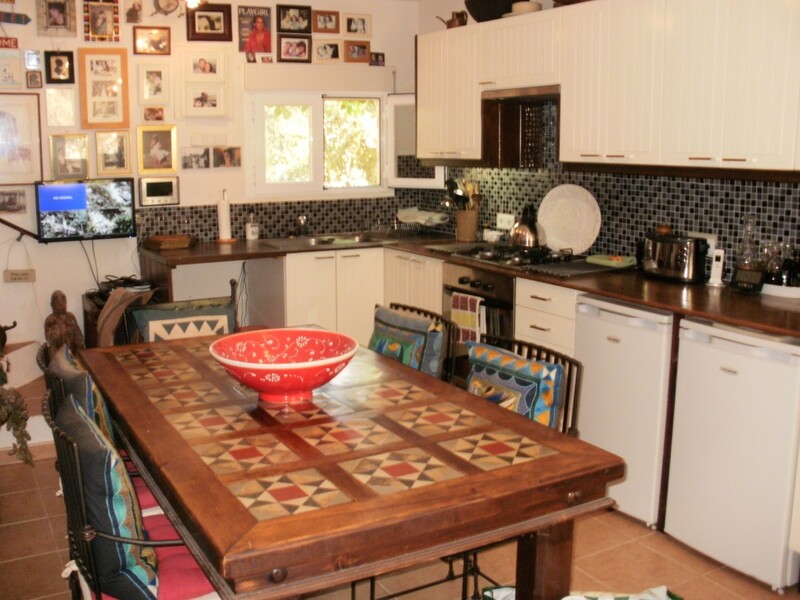 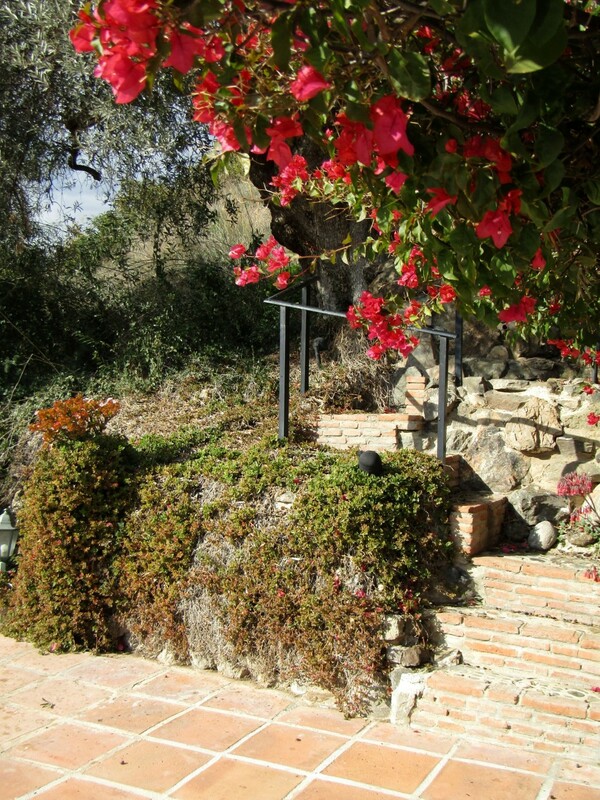 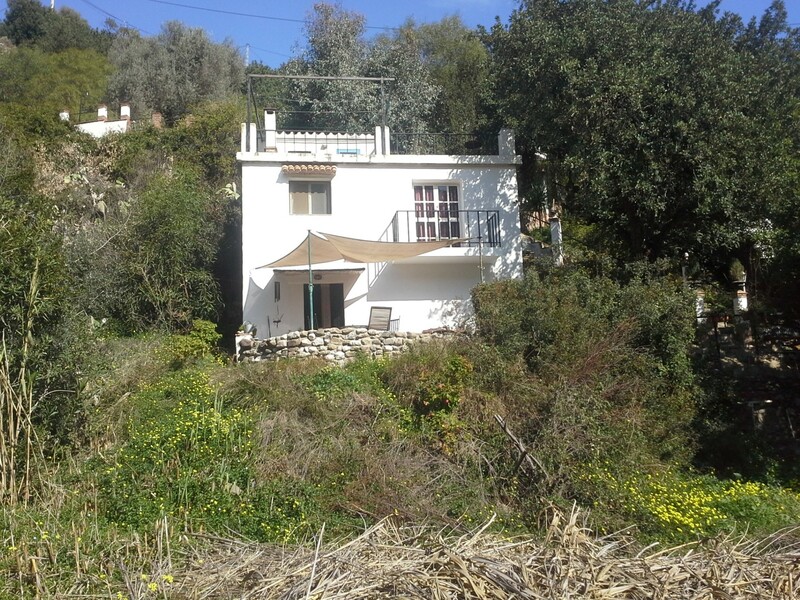 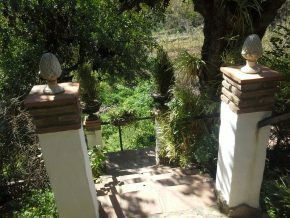 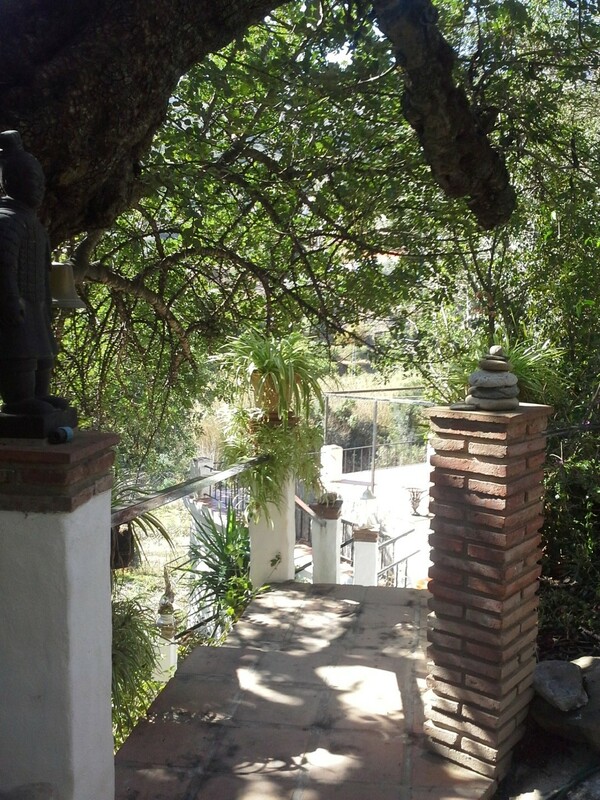 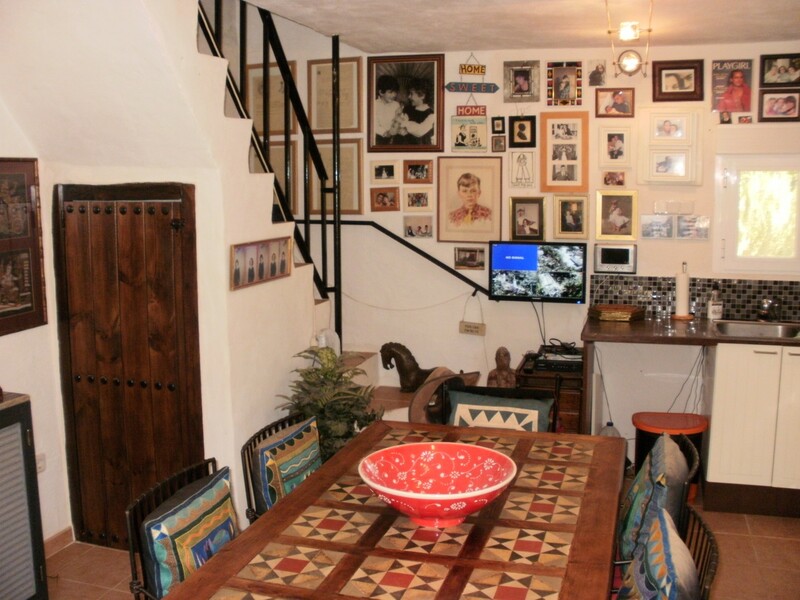 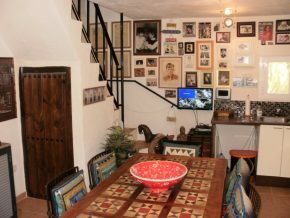 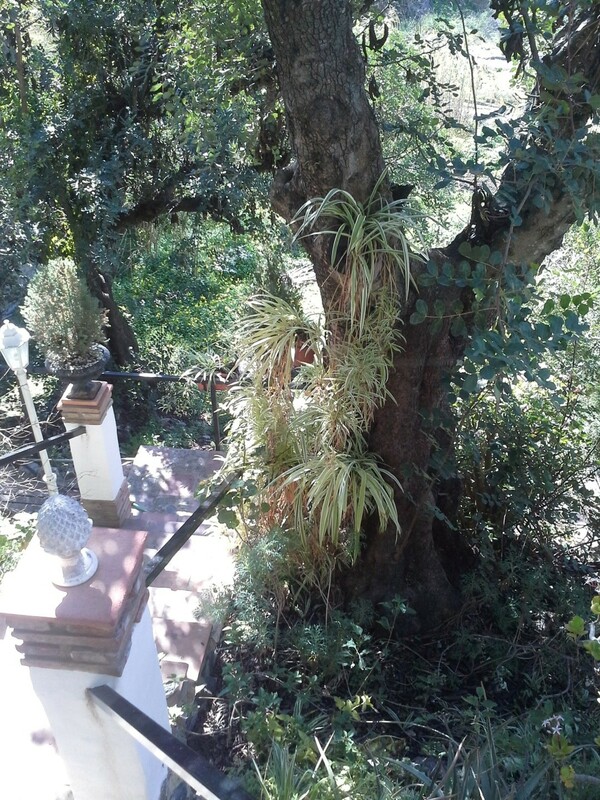 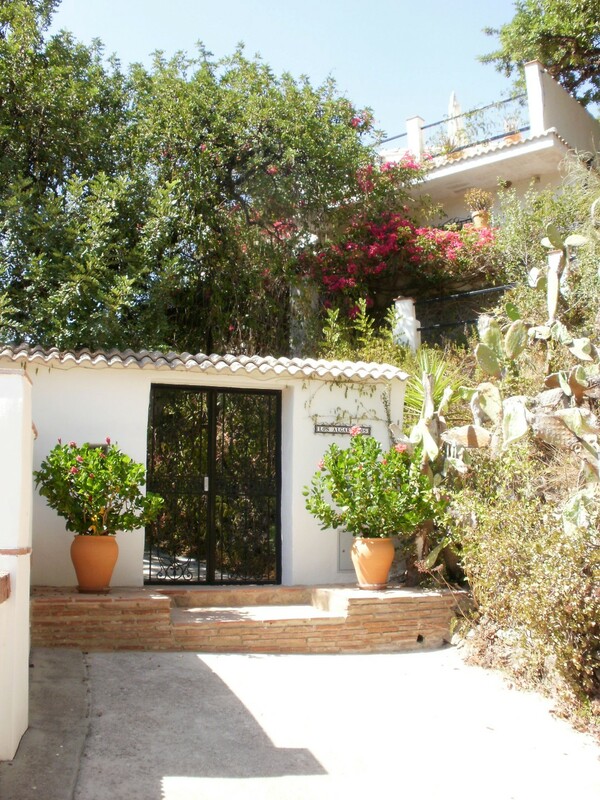 This delightful property offers plenty for anyone with the imagination and a desire to create a perfect little oasis of peace and tranquillity, surrounded by birdsong, in a totally unspoilt area of Andalusia.